Top view of Shahrukh Khan’s home, Mannat. 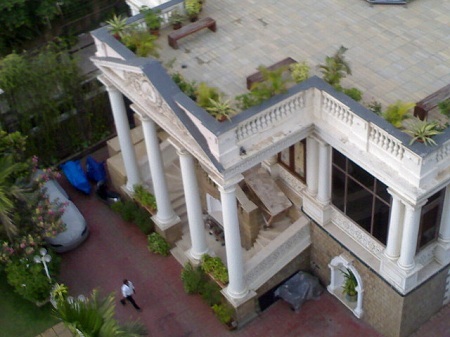 Top view of Shah Rukh Khan’s home, Mannat at Bandra (West), Mumbai. SRK have a lovely view of the Arabian Sea from the top of his house. Also seen in the picture is one of Shahrukh’s many luxury cars. Please visit this page for more pictures of SRK’s Home, “Mannat”.